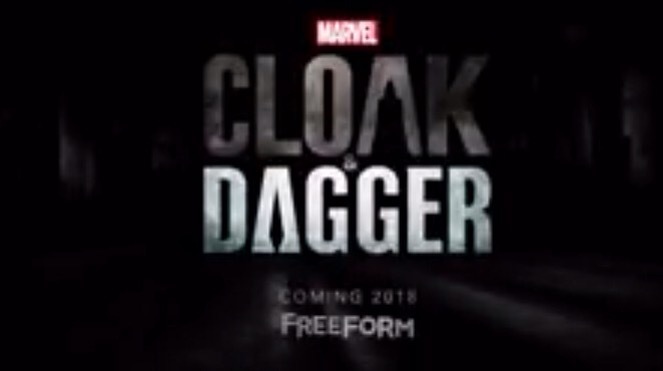 The trailer for Marvel Television’s Cloak & Dagger dropped today, and I really liked it. Sure, it went a bit heavy on the whole YA (Young Adult) angle, though when you take into account that it’s airing on Freeform–a name that sounds more like a type of women’s undergarment than a television network–which was formerly known as ABC Family. What the trailer does well is set up a contrast between Tandy Bowen/Dagger (Olivia Holt), a well-to-do white girl and Tyrone Johnson/Cloak (Aubrey Joseph) a poor, struggling black teenager. Posted in ABC Studios, actors, Marvel, Marvel Television, superheroes, Trailer Park, upcoming, Young Adult.Tagged Aubrey Johnson, Freeform. ABC Family, Olivia Holt, Young Adult.